and the many great colors. Fast, Easy, No Mess! 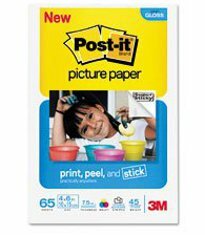 Simply cut, peel and stick Post-it® Craft Paper to a variety of surfaces. The paper is incredibly versatile. try it with your favorite supplies and techniques. Stamp it, chalk it, print it, punch it, layer it, emboss it, embellish it. 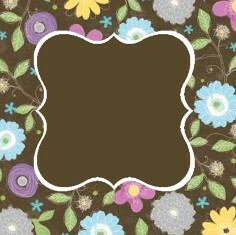 Great for scrapbooking, card making, school projects and so much more. layouts or for running through your Cricut or Wishblade. sticky, either. 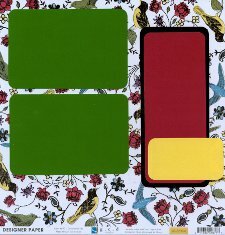 Great Post-It Papercrafting Item! as part of the class kit. I actually had about 20 different colors. 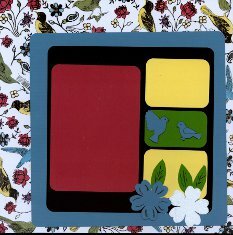 The background paper used for these layouts was "Designer Paper"
from g.c.d called Colored Birds from the Artsy Urban Collection. glitter to the back of the paper directly to the adhesive. strips over and sprinkled with a crystal glitter. and adhered to the top of the page. highlight the words on the page appropriate to the occasion. 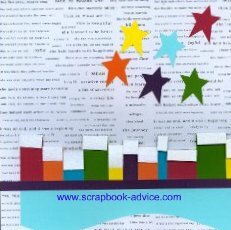 for just about any occasion of scrapbook layout or greeting cards. 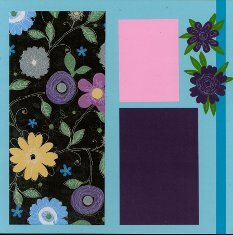 from my stash, the printed flowers on black is another g.c.d. both the Dark and Light Floral from that collection. 3 layered Scalloped Frames using a stencil I received from Paper Wishes. Quick and Easy with the Post-It Papercrafting Items. And, just like Post-it Notes, the adhesive clings very well. just like regular Post-it's. That's Awesome! Hooray for 3M on this great product. a photo matte from horizontal to vertical or vice-versa. and I won't have to re-apply the adhesive either. we also used the adhesive side to adhere glitter and flocking. image with just a slight roll of the finger over the cut edge. (technical term, there) or craft knife. from the graphics on this page. while attending the CK Convention in Charlotte, NC. layouts and card making. And, No Smell. 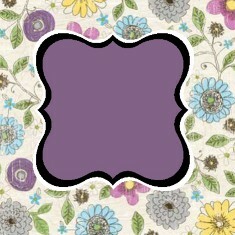 at least several times each week for scrapbook layouts and cards. more of it. It's a Great Post-It Papercrafting Item. 3M Quick Dry Tacky Adhesive is a permanent adhesive that secures three-dimensional objects made of metal and plastic as well as papers to just about any surface. It dries in less than five minutes to a transparent gloss. The fine tip allows for precision application. 3M Quick Dry Tacky is permanent, acid-free, and photo safe. Totally repositionable Post-It Papercrafting Items. for more ways to adhere your crafts.